On the surface this seems to be a great addition to any website’s armoury. However, before you rush away and create your sitemap, there are a number of pros and cons you should be aware of. The first set of benefits revolve around being able to pass extra information to the search engines. 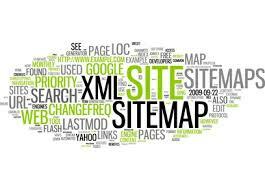 Your sitemap can list all URLs from your site. This could include pages that aren’t otherwise discoverable by the search engines. Passing temporal information. Two other optional tags (lastmod and changefreq) pass more information to the search engines that should help them crawl your site in a more optimal way. “lastmod” tells them when a page last changed, and changefreq indicates how often the page is likely to change. Being able to pass extra information to the search engines *should* result in them crawling your site in a more optimal way. Google says the information you pass is considered as hints, though it would appear to benefit both web masters and the search engines if they were to use this data to crawl the pages of your site according to the pages you think have a high priority. There is a further benefit, which is that you get information back.